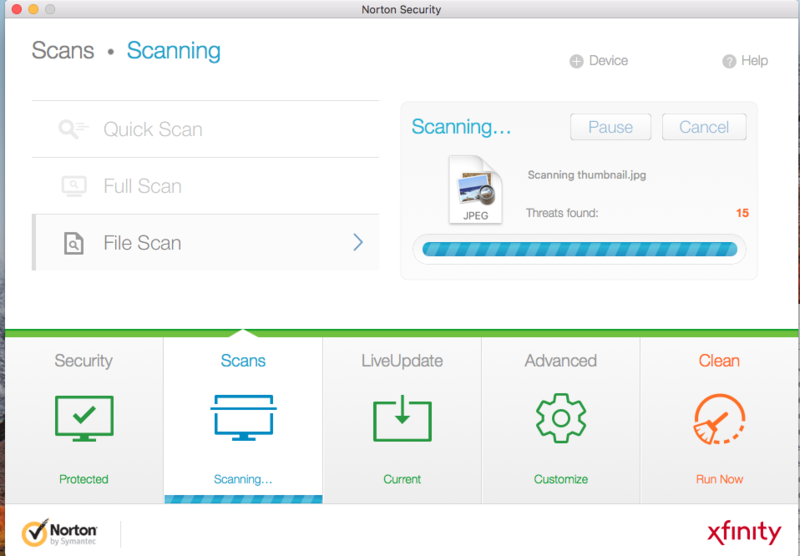 Norton Security has been scanning a file (actually it's a drive folder) for almost a day. So far 15 threats have been found. The drive has about 450g of data. How much longer should the scan take? And how and when do I find out information on the threats? an short scan take max 1 min example 30 GB. Maybe an infected File (s) from your Mail - Account. Here are the Logs listed.